We can make it look new again! Power Washing, Pressure Washing, Painting, Stain, Seal, Conditioning for Decks and other Wood Structures, Log Homes are among our core areas of expertise. Brick, Block, Wood, Composite Decks, Stamped Concrete, Aluminum or Vinyl. Cottage Care also provides St. Joseph County Michigan and surrounding Indiana communities expert Hardscape and Landscaping Services. Cottage Care Profile: We are a locally owned and operated company in Three Rivers Michigan that values honesty and integrity and treats your home as if it were our own. We offer a variety of general contractor services to St. Joseph County Michigan and surrounding Indiana communities that are customizable to each individual project. You will find us to be competitively priced, paying close attention to the details of each and every project that we are involved with. We look forward to building lasting relationships and guarantee your satisfaction! 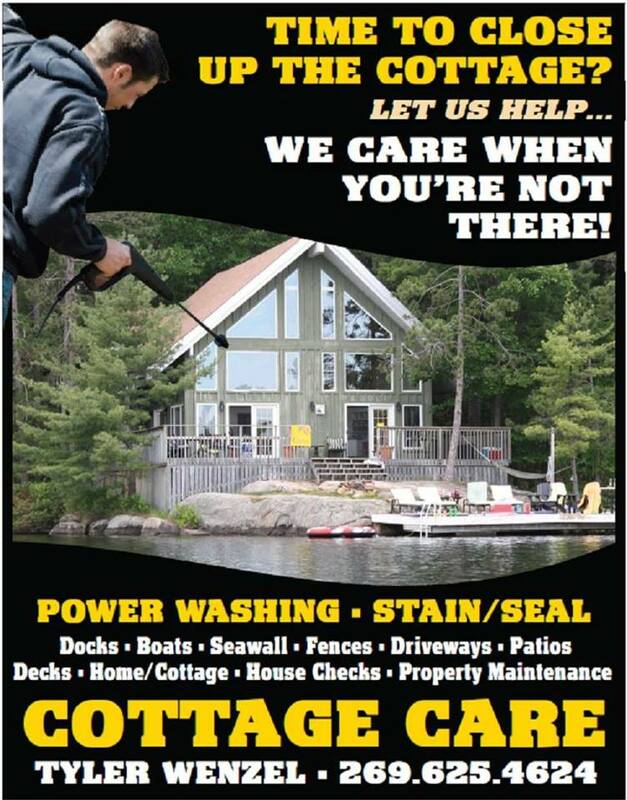 Cottage Care Company (World of Washing) Power Washing Service Area: Three Rivers Michigan, Kalamazoo Michigan, Portage Michigan, Coldwater Michigan, St. Joseph County Michigan, Elkhart Indiana, Leesburg Florida and surrounding areas.